A step-by-step pet care plan. 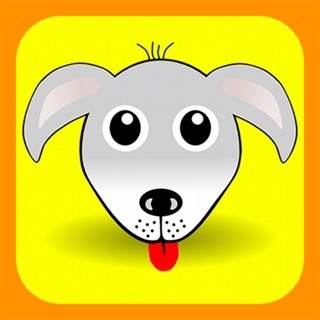 Treat is a monthly membership that provides a step-by-step plan for the care and nutrition of your pet’s life. Subscribing to Treat is easy. 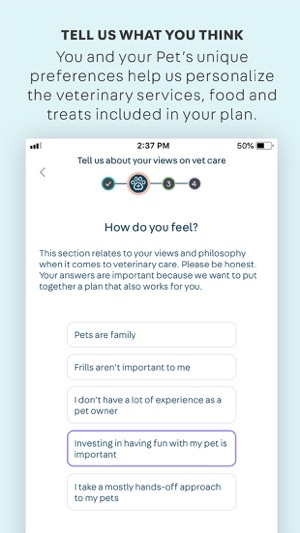 At Treat, we create a customized food plan – based on your beliefs, your pet's needs and the advice of our veterinary team – that helps keep your cat or dog happier and healthier for years to come. So… tell us about your pet! If you have more than one pet, you can create separate profiles once you’ve completed your first. We are a group of passionate pet lovers. 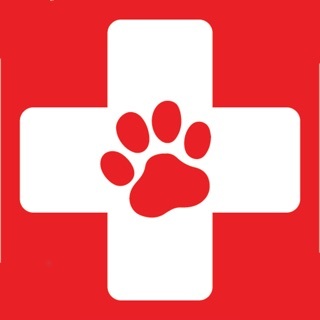 We understand that all pet owners need help from time to time to make the right decisions for their pet. 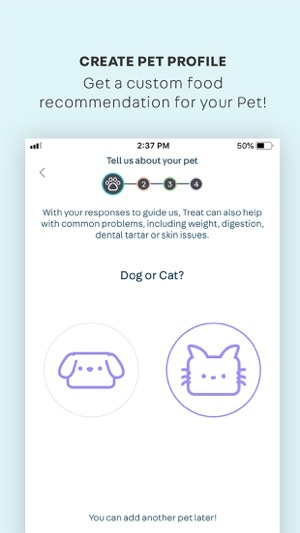 We created Treat to make it easier for you to have one place to go to help navigate your pet's overall health and wellness. 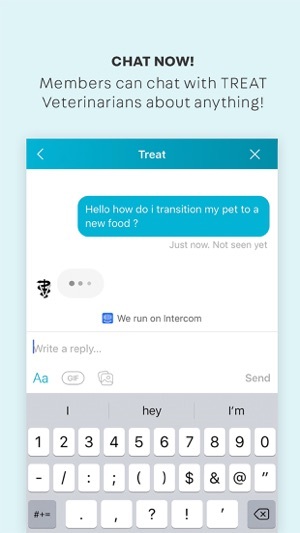 We want to simplify and make pet care easy for all pet owners. Guided to the right choice… advised by an expert. What a great surprise to find Treat. They answered my chat at midnight and booked an appointment for the next day. The vets that came out were not only efficient and probably, but made all felines and their owners comfortable. 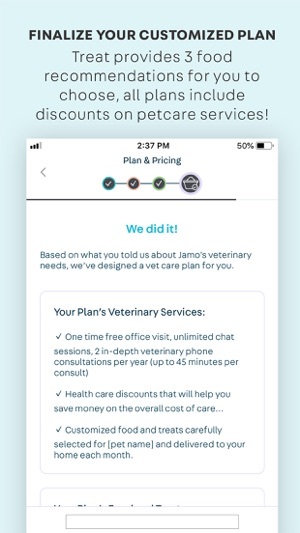 I initially booked my two cats, and then told my neighbors whom I share a courtyard with that I had affordable mobile vets en route, and added another three kittykats to the patients' list. I've been to a vet where I felt that vaccinations and treatments were being stacked indiscriminately and questions were not welcomed in a pedantic manner. 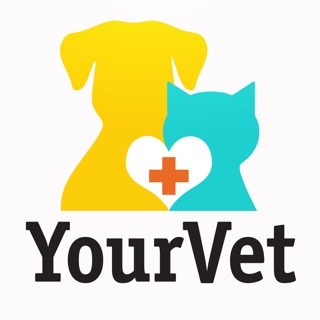 Treat's vets listened and respectfully made their recommendations, usually with options. Fantastic Experience. Super easy to use. I’ve taken my dog to a couple different training courses. She learned a few tricks, but the biggest issues were related to her behavior (jumping up, nipping, etc). My experience with Treat has been amazing. There was a noticeable change in her behavior after the first couple sessions and the biggest concerns with my dog are no longer issues. The app itself is super easy to use and setting up a session was a very simple process. I chose the service I wanted, chatted with one of their reps, and was given a few different options for in-home training. I cannot rave about this enough! Quick and easy, period. Taking cats to vet is adventure, having vet come to you is priceless. Having diet food delivered to you after quick chat at 9 pm on Sunday night is exceptional! Wish I could make an appointment with my doctor that easy and get seen that quickly, but I can't even dream to have my doctor to come to my house... my cats get better treatment than me because of Treat!! Jealous!